This beautiful venetian black eye mask has been hand painted with gold paint. Three different tyles of feathers decorate the side. 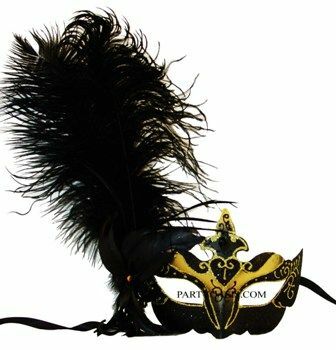 Great for your next masquerade ball. Easy to wear with ties.